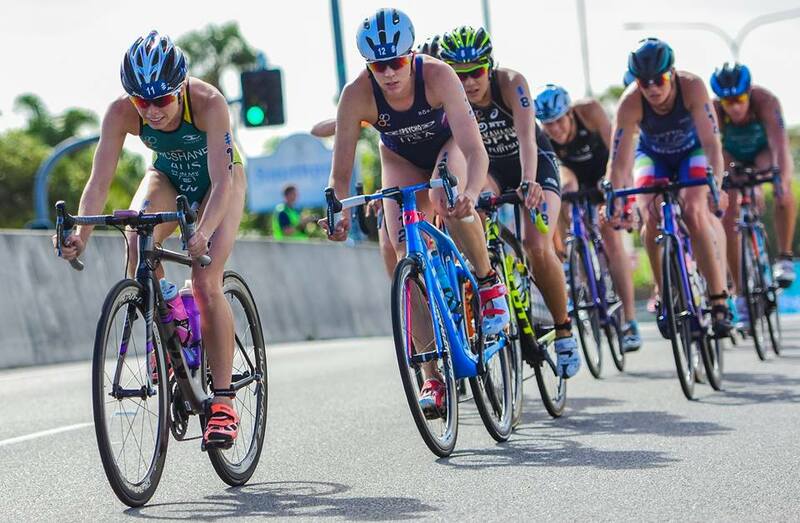 The second event of the World Triathlon Series tour this year was on home soil on the Gold Coast. The race had been on my mind since my training recommenced late last year as it was the first automatic qualifying race for a place on the Australian Commonwealth Games team – a team who will compete on the exact same Gold Coast course next year. I’ve raced in Gold Coast twice before and both times I had very disappointing performances so for the few months preparation leading into this year’s event I left no stone unturned. After a relatively relaxed start to the year I started to feel some form building in training through the weeks leading into Gold Coast and I was very excited to test myself out against a world class field. In both 2016 & 2015 my swim performances were not at a world standard and since then I devoted a lot of effort into lifting my ability to a level that is consistently competitive. I wanted to execute a good swim this year more than ever. I got off to a good start and was able to exit the super choppy Broadwater in a position in sight of the front girls. I hammered the first 2km of the ride which paid off as I had made up enough ground to find myself with the leaders early on. By the end of the ride almost the rest of the field had also made contact with the front so the priority became holding good position heading into transition with 50 other motivated girls! Leading into this race I wanted more than 6th. However I put myself in the best possible position and at this level of racing over such a short distance a few seconds can make a big difference in your final placing.Its encouraging to be at the pointy end of the field again and actually feel like you’re in the race – but I’m certainly not entirely satisfied with 6th.